LOS ANGELES - November 18, 2008: Muscle goes modern for 2010 as the Ford Mustang, America's favorite muscle car for 45 years straight, hits the streets with a new exterior design; new world-class interior featuring well-crafted materials and updated technology; and a V-8 with even more horsepower and an even throatier signature Mustang exhaust sound. Combine those elements with the new Mustang's improved handling characteristics, more standard safety and technology features and its already-strong safety and quality performance and reputation, and it's easy to see how the muscle car known around the world delivers on the promise of fast, fun and affordable performance for a whole new era. "More than 9 million customers have made Mustang one of the world's most beloved automotive and cultural icons," said Mark Fields, Ford's president of The Americas. "Making sure this modern legend lives up to their expectations has been a driving force for the team, which went to great lengths -- gathering customer input everywhere from race tracks to Main Streets in cities throughout the U.S. -- working to create the best Mustang ever." In true Mustang tradition, there is a "steed for every need." At launch, customers can choose from a V-6 or V-8 with their choice of coupe, convertible or innovative glass roof, plus several new options and features delivering the opportunity for customers to personalize their cleaner, meaner-looking Mustangs. The more aggressive grille is punctuated with the first new Mustang emblem since the car's introduction in 1964. New headlamps, lower fascias, fenders and grille are capped by a powerdome hood that adds to the muscular appearance allows for enhanced air cooling of the engine. The rear design features aggressively angled corners, a sculptured decklid and a prominent rear badge. A new tail lamp design features three LED bulbs firing sequentially from the inside for turn indication -- like the Mustangs of the '60s. Under the hood, the Mustang 4.6-liter V-8 benefits from innovations from the popular Bullitt model. Power has increased to 315 horsepower. Ride and handling has also been enhanced. "We adjusted the springs, stabilizer bars and shocks to better balance the ride, steering and handling for all models, which results in a more engaging driving experience," adds Mustang Vehicle Engineering manager Tom Barnes. AdvanceTrac(TM) Electronic Stability Control is now standard and complements Mustang's all-speed traction control and anti-lock braking system. 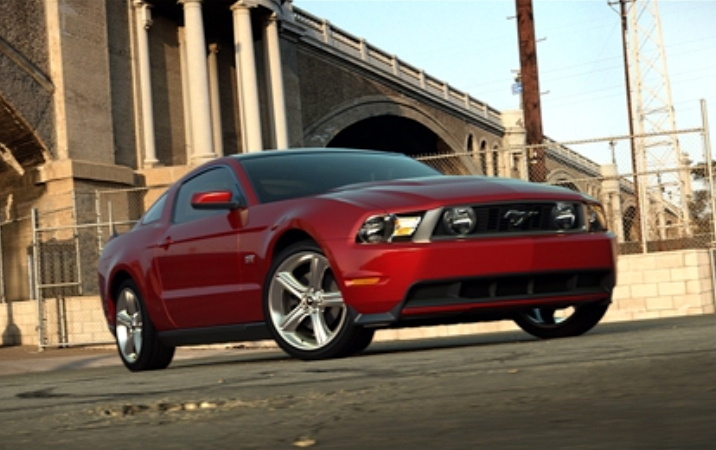 The 2010 Mustang is engineered to maintain its top government safety ratings. Standard safety equipment includes: dual stage front driver and passenger air bags; front seat-mounted side air bags; and Ford's Personal Safety System. 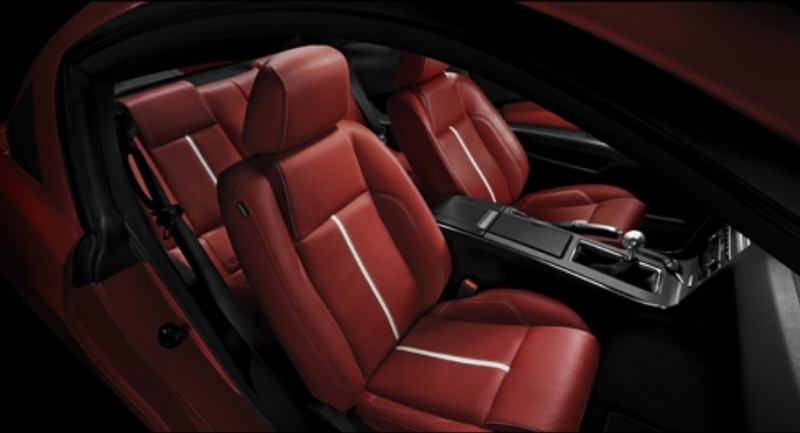 Like the exterior, the interior is all new with world-class materials and execution. The new center stack design adds Ford SYNC(TM), with new features 911 Assist and Vehicle Health Report. Drivers also can customize their ambient and instrument lighting through the My Color(TM) system, which features 125 color options. With an exterior that echoes the classic Mustang designs of the past, an interior featuring world-class materials, technology upgrades and an improved driving experience, the 2010 Mustang is poised to become the latest classic in the proud line of Ford's iconic American muscle car. The 2010 Mustang will be built at the Auto Alliance International Plant in Flat Rock, Mich.